Order in the next 1 hour 17 minutes and your package will ship on Thursday, May 2. Order in the next 1 hour 17 minutes and your package will ship on Monday, April 22. 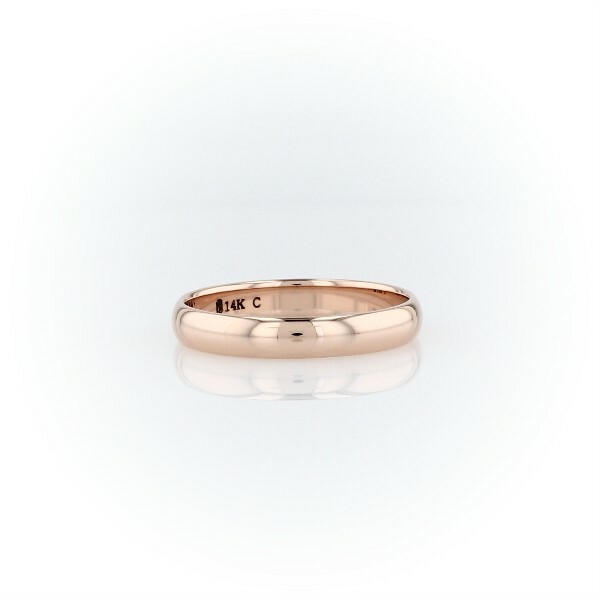 This classic 14k rose gold wedding ring will be a lifelong essential. The light overall weight of this style and its slender, low profile aesthetic make it feel "barely there" and perfect for everyday wear. The high polished finish and goes-with-anything styling are a timeless design.